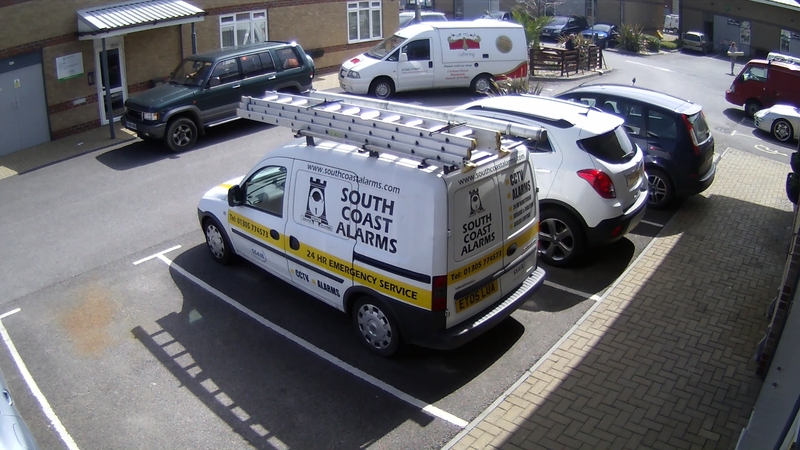 South Coast Alarms Ltd are suppliers of High Quality, Top Branded CCTV Systems for domestic properties, private companies and public sector organisations based throughout Dorset. From covert CCTV systems to visible deterrents, our systems provide users with a comprehensive solution to meet operational needs involving security, safety, surveillance, control and communication. Analogue CCTV has largely been superseded by Digital High Definition or Ultra HD based systems, although we still have access to analogue supplies and keep a wide range of analogue spare parts. Its become one of the buzz words in the industry – as well as consumer electronics as a whole. But what advantages could a 4K CCTV Camera Installation bring for you? The introduction of 4K technology to our portfolio is a natural step in our constant desire to respond to customer demand. 4K – sometimes termed ‘UHD’, ‘Ultra HD’ or ‘Ultra High Definition‘ cameras – offer four times the resolution of HDTV; 1080p with a video resolution of 3840 X 2160 – 4096 x 2160 pixels. When you compare this to traditional CCTV surveillance cameras, with a resolution of 704 x 480 or less, you can clearly see the benefits! The difference compared to conventional video and HD video is remarkable; individual images can look as if they were taken with a digital stills camera, and impart the same level of detail. Ideal for overlooking large areas, 4K IP CCTV is perfect for large scale monitoring of public spaces, car parking and warehousing, and is able to capture the finest of details in your scenes. Due to the exceptionally high picture resolution, ultra high definition 4K cameras from South Coast Alarms are also perfect for post event analysis, providing the ability to digitally zoom into the recorded image. This makes them ideal for clearly identifying intruders, vehicle number plates or even stock numbers on a box, amongst many other important uses. This high quality image is captured at top speed; with incredibly high frame rates (up to 30 frames per second for high end uses) our systems can capture fast moving objects at high resolution. The combination of speed and ultra high resolutions provides the level of detail that makes the difference when collecting robust evidence, even when looking at wide scenes such as outdoor sites or inside a warehouse. 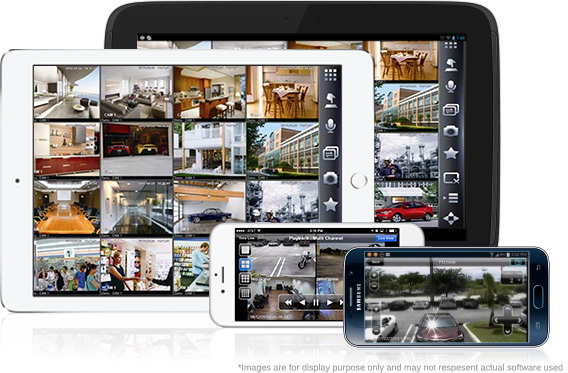 All of our systems can provide remote access to your CCTV system from any PC via a broadband internet connection and also via an App on your Android or Apple smartphone. We will set up this feature for you during the installation process. Being an independent Company we are not tied to any one manufacturer for equipment, though we do supply some of the highest quality systems available from leading names. Whatever your requirements, then let us provide you with a quotation quickly, be it additional CCTV equipment or a complete new CCTV installation then we can fulfil your needs using the latest technology. Contact us for a free technical survey and quotation, without obligation.